My baptism of fire in Rembrandt studies took place fifty years ago under special circumstances. In spring 1967 I had been living in the Netherlands for a year-and-a-half. The Kress fellowship that had supported me in better style than to which I had been accustomed at Johns Hopkins University in Baltimore having lapsed, I was eking out a meagre living, with support from my wife-to-be Loekie, as the English-language secretary to Prof. J.G. 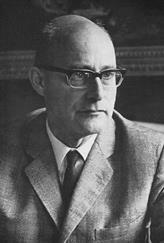 van Gelder (1903-80) of Utrecht University. From 1961 on I had built up valuable experience as a researcher and copy editor with the McGraw-Hill Encyclopedia of World Art and the Bollingen Foundation, capabilities that I thought would appeal to Dutch publishers of scholarly art history in English. I was wrong. They were used to sending translator’s copy to the printer and saw no need to add to the costs of that streamlined process. Then van Gelder offered to recommend me to the publishers of his own books, and I became a beneficiary of a powerful Dutch old boys network that was otherwise unavailable to an immigrant. That one of van Gelder’s publishers indeed could make use of my services was however sheer happenstance. My letter to the director of J.M. Meulenhoff, Willem Bloemena, reached him upon his return from a phenomenally lucrative sales trip to New York. (See Willem Bloemena’s Great Rembrandt Book.) Emulating Mondadori’s success in bagging mega-orders for oversized books on Leonardo and Michelangelo, he had managed to sell a large edition of an equally big book on Rembrandt’s paintings to the publisher Eugene Reynal, who passed on some sixty thousand copies to Book-of-the-Month Club. The books had to be delivered in September 1968, in time to serve as BOMC’s crown title for the final quarter of 1968, on the eve of the 300th anniversary of Rembrandt’s death in 1969. On the plane back home, halfway through a bottle of celebratory champagne, Bloemena began to reflect on what he had just sold. All he had at that point was an agreement with the Dutch-German art historian Horst Gerson (1907-78) to write – in German – a text of a certain length on Rembrandt’s paintings, supplemented by a catalogue of all the paintings Gerson regarded as “autograph.” In fifteen months he had to deliver full-length, high-quality printed books in English. The contract he had signed contained penalties for missing delivery or for coming up with shoddy goods that made capital punishment, which is quickly over and done with, look good. That was his foremost concern when he opened an envelope with a job application from a young American art historian with editing experience. He hired me – first for half of what I should have been earning, a situation I remedied as soon as I realized what was going on – to do all the rest. The first and most enjoyable responsibility was to perform research for Gerson, one of the nicest people I have ever known. He wrote away in Groningen, where he was professor of art history, sending me requests for supplemental research on points that needed clarification. The results had to be submitted in a particular format – on A6 (4 x 5) kattebelletjes to be slipped into his documentation boxes, with one kattebelletje per subject, even if it was the summary of a complete article. I conferred with Gerson frequently in Groningen and on one occasion in Rome, where he was leading a study trip. While performing these scholarly tasks, I was also expected to find an English translator – I chose the redoutable Heinz Norden (1905-78) – and edit his work; acquire black-and-white photos of all 420 Rembrandt paintings; choose and order photos of the 168 supplementary illustrations in the book; accompany the Swiss photographer André Held on color photography campaigns to locations where no one spoke French, a duty that involved drinking too much of his superior home-made framboise; supervise the graphic design, the work of Frits Stoepman, and put together with him the double spreads; compose the captions and write accompanying remarks in the catalogue; help Bloemena with a coda he added at the end of the book, on Rembrandt’s Nachleben; lunch with Bloemena at the excellent restaurant on the ground floor of his new office at Prinsengracht 1111 (the restaurant was called the Quatre Canetons – look for the Dutch pun); copy edit and proofread the English edition; compile concordances linking Gerson numbers to those in the catalogues of Cornelis Hofstede de Groot, Abraham Bredius and Kurt Bauch and vice versa; build a general index and an index of Rembrandt works; provide a listing of photographic acknowledgments; stand by for press control with the production manager Gert Lathouwers, who trusted me to know the exact shades of the eighty paintings reproduced in color; keep the project boss Henk van Hoorn convinced that I was going to get everything done on time; and coordinate, in London, the catalogue in the Meulenhoff publication with Gerson’s new edition for Phaidon Press of Abraham Bredius’s catalogue of Rembrandt paintings of 1935, for which he had served as Bredius’s assistant and editor. All of this with Loekie’s moral support, hands-on help and the laudable forebearance she shows me nearly always. In addition to the English edition, a well-produced, well-received book that indeed made it to New York by fall 1968, Rembrandt paintings also came out in 1969 in Dutch, French and German. This was in the days of mechanical typewriters, hot metal typesetting and analog lithography, when the most advanced means of communication was the fax. I doubt whether this feat could be accomplished today with as small a team as Bloemena put together in 1967, leading to the further soul-searching question of what the gains of computerization amount to in the end. “Hitherto it is questionable if all the mechanical inventions yet made have lightened the day’s toil of any human being,” John Stuart Mill wrote in The Principles of Political Economy (1848), as I read in an article by Nathan Heller in the July 24, 2017 issue of The New Yorker. Is Mills still right? Aside from its appeal as a book for the art lover, Rembrandt paintings caused quite a stir in the world of Rembrandt studies. In the 1930s Abraham Bredius had included 610 paintings in his Rembrandt catalogue, of which in 1966 Kurt Bauch still accepted 562. Gerson set the knife in this corpus, recognizing Rembrandt’s hand only in 380 paintings, to which he added another forty of whose status he was uncertain. Although he offered little argumentation for these judgments, they were taken seriously and largely accepted. It helped that they were in line with a new wave of connoisseurship represented by the Rembrandt Research Project, which was launched in the same year as Gerson’s book came out. The RRP proclaimed itself to be practicing a more scientific connoisseurship than the intuitive variety of Gerson, Bauch and Bredius. My reservations concerning the Rembrandt Research Project date from the first time I heard what it was up to. At the launching party for Gerson’s book in the Rijksmuseum, Simon Levie, a member of the RRP, told me proudly that they were going to examine all 620 paintings in Bredius and conclude whether or not they were painted by Rembrandt. I winced and said “But that’s the wrong question.” What I meant, as I had sensed in my work for Gerson and later wrote again and again, is that our understanding of what constitutes a Rembrandt painting is too imprecise to allow for categorical attributions of that kind. This is the way I was plunged, outside academia, into the midst of one of the liveliest art-historical discussions of the past half-century. My participation in the debates about Rembrandt and connoisseurship has not always been a pleasure. But my intense immersion into Rembrandt studies fifty years ago has rewarded me vastly as a scholar, publisher, columnist and lover of art and art history. © 2017 Gary Schwartz. Published on the Schwartzlist on the occasion of Rembrandt’s birthday on 15 July 2017. Whether it is his 410th, 411th or 412th birthday depends on how you read the sources and documents. The birthday itself I will celebrate with Loekie in Kassel, where we are going to see documenta 14 and find out what Rembrandt’s successors are doing these days. 20 July 2017: Quotation from John Stuart Mill inserted; Rudi Ekkart’s catalogue added to list of Amazon reviews; spelling of documenta corrected from upper to lower case. What a magnificent story (and very well and simply told, as few others than you could do)! The training this afforded was unique and irreplaceable. But you still bring much to our lives and our field that surpasses any accounting of your ‘training.’ Blessings on you!